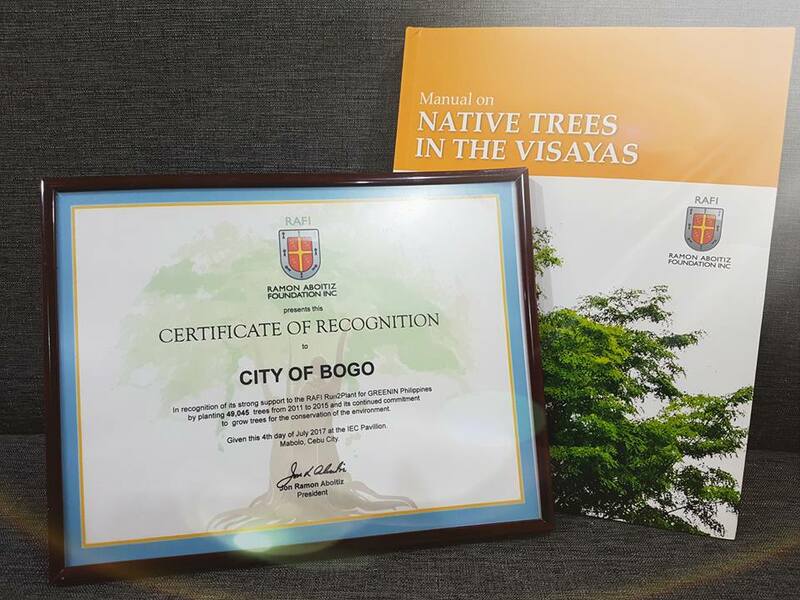 The Ramon Aboitiz Foundation Inc. (RAFI) presented a Certificate of Recognition to the City of Bogo in recognition for its strong support to RAFI's Run2Plant for GREENIN Philippines program by planting 49,045 trees from 2011 to 2015 and its continued commitment to grow trees for the conservation of the environment. 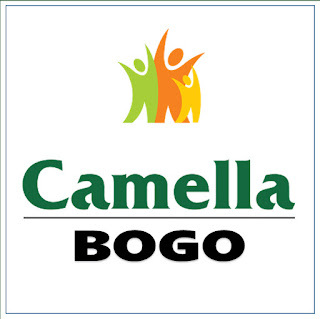 Last July 1, 2017 the City Bogo in its 7th Run2Plant for Greenin Philippines planted additional 10,200 seedlings of Bogo Tree, Narra, Cebu Cinnamon, Molave, Guyabano and Coffee at Bliss, Barangay Lapaz, City of Bogo. Deputy Provincial Environment and Natural Resources Officer Atty. 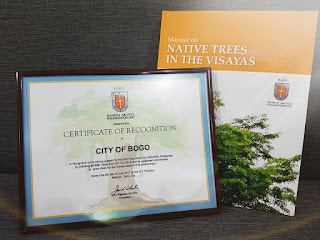 Ahmad Clay Escolar, a young Bogohanon said that it's Bogo's contribution to the 50 Million trees to be planted in 10 years in the entire province.